The Faroe Islands consists of eighteen isolated islands in the Atlantic Ocean, halfway between Norway and Iceland. When standing in it's rugged, Game of Thrones like landscape, it's not hard to understand why National Geographic readers named it The Best Travel Destination in 2015. Despite becoming an attractive destination for landscape photographers, it's rare to meet other travellers and you'll feel just how remote these islands are.. Visiting the Faroe Islands in early November gives us dramatic conditions and, if we're lucky, a fresh layer of snow. With the constantly changing weather you can experience 4 seasons in one day, meaning endless of opportunities to capture beautiful images. The islands are known for their amazing waterfalls, stunning fjords, epic coastline and rough weather. As a bonus, we'll also visit the southern most island, Suduroy, and photograph it's unique landscape while experiencing life on a remote island in the Atlantic Ocean. Price: $3390 based on double occupancy. Single rooms are available for an additional fee of $600. - Any travel services required prior to arrival at Vágar Airport (FAE). ​What clothes do I need to bring? Visiting the Faroe Islands in November, we expect a lot of rough weather so make sure to bring warm and waterproof outer layers such as Gore-tex, thermal underwear and water resistant boots. Don't hesitate to ask us for advice if you're not quite sure what to bring. If we're lucky! It's more likely to see the Northern Lights further north. It’s hard to predict the weather but we pay close attention to radars and reports throughout the entire week to increase our chances of getting a glimpse of the lady in green. Yes. None of the shoots are mandatory, so if you want to sleep in or do something outside of the group, we can assist you with booking other activities. The weather and climate in the Faroe Islands is known to be extremely unpredictable and local. It's not unlikely that you can experience 4 seasons in one day; resulting in dramatic light and photographic opportunities. Temperatures average at around 4-5 degrees Celsius during our stay but you can expect temperatures both colder and warmer. You should also be prepared for strong wind and rain/snow. Due to the many local weather systems this trip does not have a fixed itinerary. In order to provide you with the best possible photographic opportunities, we operate with a flexible schedule. Locations such as Gjógv, Gásadalur, Sørvágsvatn, Saksun, Tjørnuvík, Funningur, Nordradalur and Sornfelli plus many more are on our prioritised list during the week. Deposits are non-refundable. Cancellations must be received via email. Should you need to cancel your place on the tour, we will only refund any amount over and above the deposit you have already paid. If you cancel less than 55 days before the tour starts there will be no refund of fee or deposit. Should another participant be found to fill the vacant place we will then, and only then, refund the deposit and/or balance you have paid. Final payment is due 60 days prior to the start of the tour unless otherwise specified. Your registration is guaranteed only when we have a deposit payment. Registrations are allocated on a first come first served basis. If the workshop is cancelled by us you will receive a full refund of your booking fees. Tour itineraries may be subject to change due to weather, road conditions or any other other unforeseen circumstances. A modest level of photographic experience would be advisable to get the most out of this tour. Familiarising yourself with the basic camera operations is also strongly advised. We're happy to direct you towards helpful resources to kickstart your learning if needed. The cost of the trip is $3390USD based on double occupancy. A deposit of $600, or full payment plus any single supplements, is to be paid with the return of the booking form. If paying just the deposit amount with your trip registration, the remainder of the trip needs to be paid no later than 60 days prior to departure. Christian Hoiberg is a Norwegian Landscape Photographer and founder of CaptureLandscapes. Throughout the year, he leads photography tours to Arctic and rugged locations such as Northern Norway, Faroe Islands and Greenland. His goal on photography workshops is to show you the most scenic places and help you capture portfolio worthy images of them. 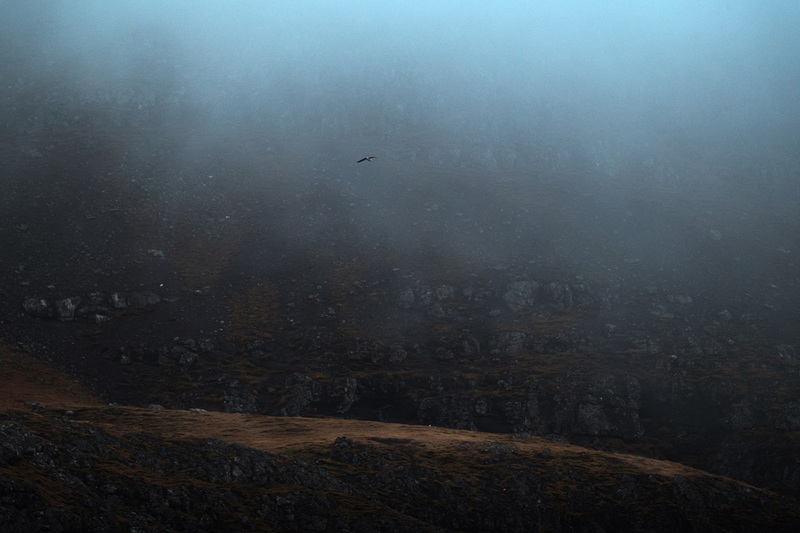 Thomas Vikre is an award winning photographer based in the Faroe Islands. His work consists primarily of landscape, travel & fine art photography, but he also does a substantial amount of commercial work for local companies. Thomas is a well-known guide on the Faroe Islands and knows how to show you a good time. Reserve your spot now and join this epic photography adventure to the remote Faroe Islands. Are you ready to expand your portfolio?